I’ve been reading about osteria da fiore for years, first in the writings of Marcella Hazan, and then in a cookbook published by the proprietors of the restaurant itself. So I knew when planning my trip to Venice that da fiore would figure prominently. Da fiore was a little casual place when Mara and Maurizio Martin took it over in 1978, when I was one year old. It was a time when many young people were being drawn back to Venice and the Martins were among them. But although Mara had learned to cook from her grandmother, the cuisine of her upbringing was not the fresh from the Lagoon fish cuisine of Venice. She felt like she knew nothing of how to cook in the city. But she learned. Among other things, she befriended Victor and Marcella Hazan, who were living in Venice, and both Mara and Marcella have written about how much they learned about cooking from each other. Although the Martins’ original aspirations for da fiore were to keep it simple, the cooking became more refined over time and is now one of just a handful of michelin starred restaurants in Venice. This actually concerned me because what I want from an Italian dining experience is cooking which is the comforting and simple but delicious cooking of the home, as I learned from Marcella’s writing so many years ago. My knowledge of the Michelin star system is shaky at best, so please take my opinion with a grain of salt, but my impression of the system is that it rewards restaurants which are more formal and whose cooking is more rarified than I care for. And such was the case at da fiore. The service was stiff and formal, though more friendly the friendlier I became. It was the one place I’ve eaten on this trip where my imperfect Italian was not met with encouragement but discomfort and confusion, which didn’t put me at ease. In fact, perhaps my biggest criticism of such formal dining is that often no one seems to be at ease. Some of the servers at da fiore, while trying to uphold a certain standard, seemed rather uncomfortable, as if they were playing a part and not being themselves. Nothing is worse than someone pretending to be someone they’re not, and while I have no criticism of anyone who loves formality, I expect it to be a sincere love, not an act or a job. 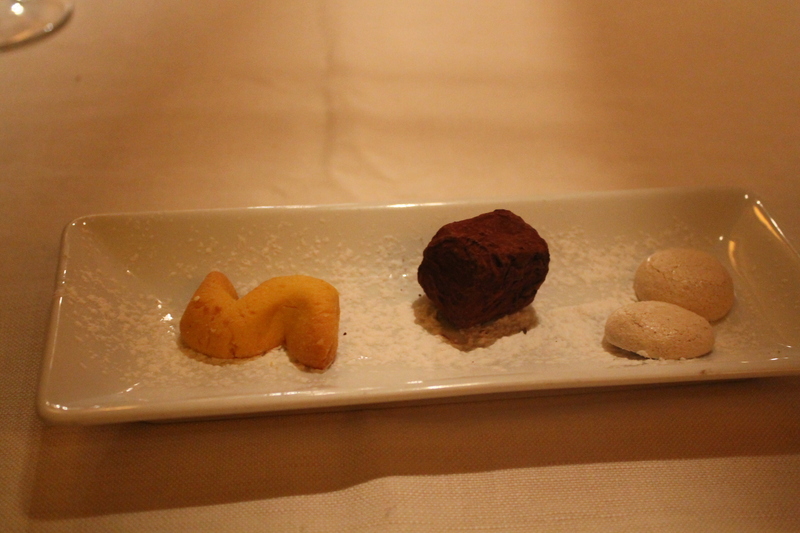 The food at da fiore was impressively executed and beyond reproach, as one would expect at a starred restaurant. But was it better than my meals at alle testiere? Did it have the personality and soul of so much cooking in Italy? I can’t say that it did. 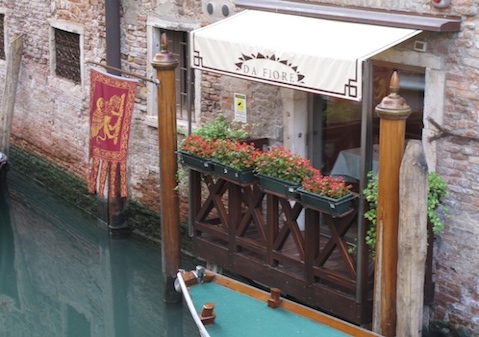 Is it the best restaurant in Venice, as some would have it? I can’t say that it is. Please don’t misunderstand me. 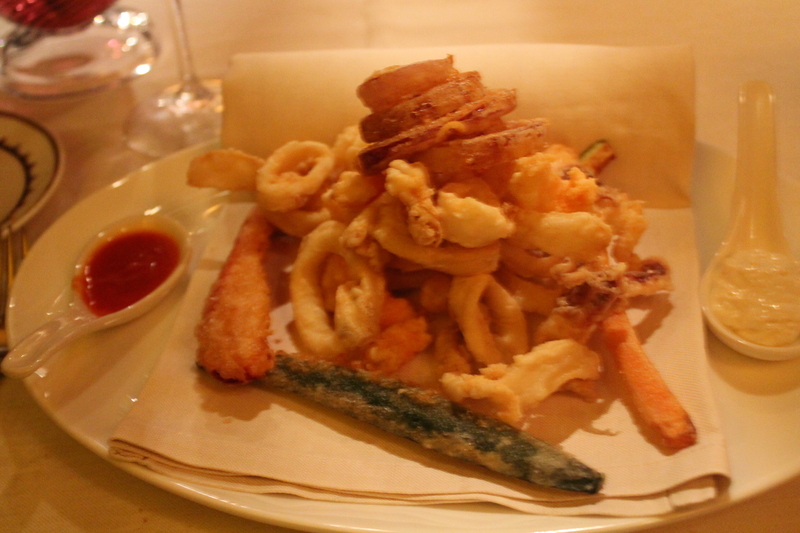 Da Fiore is an excellent restaurant worthy of a visit. And please understand that my comments should not be taken as any sort of professional review. Among other factors, a professional review should be the result of several visits over a period of time by those trained in the art of restaurant criticism. I’m simply reporting on my impressions as a cook and lover of traditional, home-based Italian cooking. I love the story of the Martins and da fiore and I am happy for their success. But da fiore left me a little cold, and I wish that it had been content to remain a simpler place, free from the pretensions of formal dining and free to focus simply on the quality of cooking. 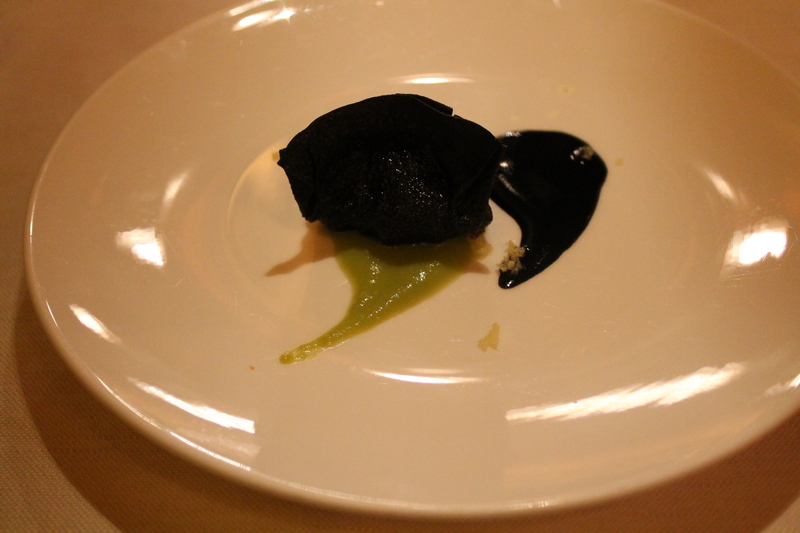 A crisp dumpling filled with whipped bacala, with squid ink and ginger. 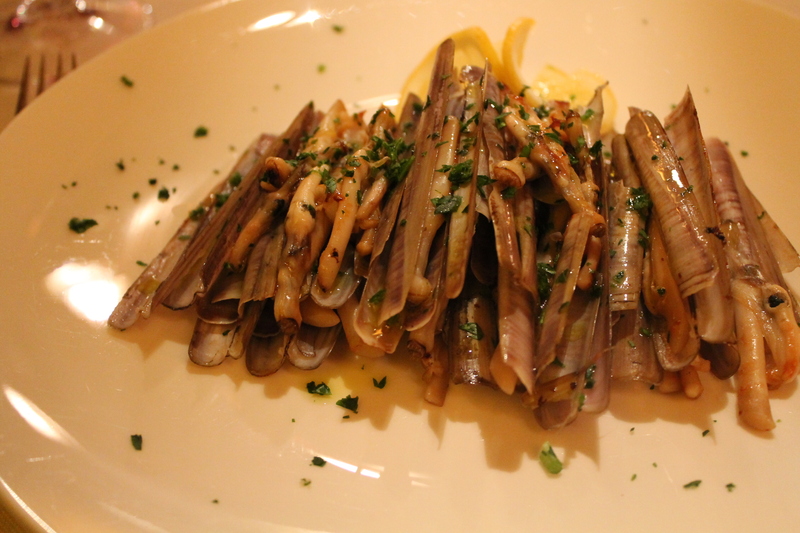 Antipasto of capelunghe (razor clams). 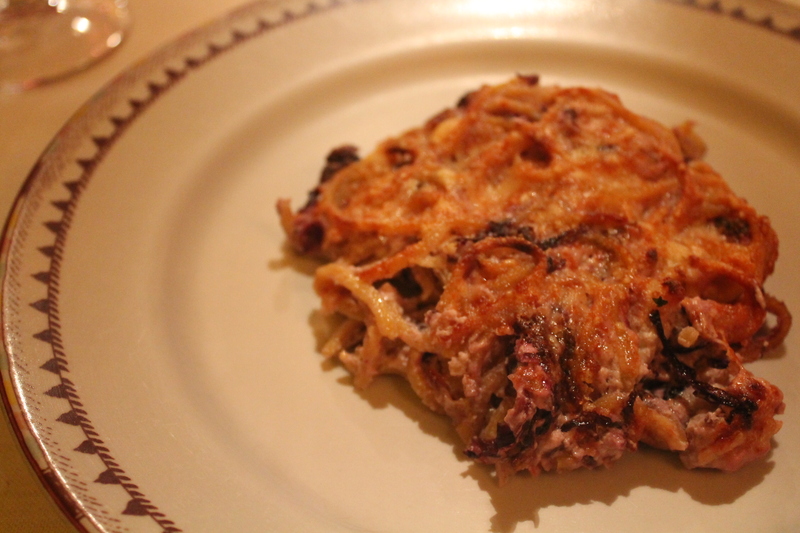 Gratin of tagliolini with radicchio and scampi. Fried squid, shrimp, and mixed vegetables. thansk for site, very nice and usefull. whats next recomendition?